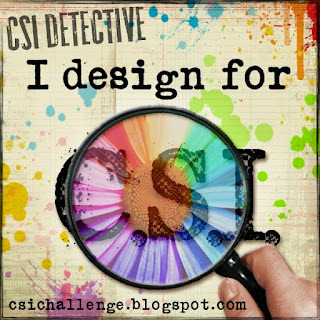 Hi all, today I'm in today to share my design team layout for CSI: Color, Stories, Inspiration. Nothing like scrapping some summery-ness in the midst of a Minnesota winter! This was taken by my dad on a trip to see my aunt, who lived in Jamaica for many years. This was on a stop for pineapple juice somewhere between Montego Bay and Ocho Rios. 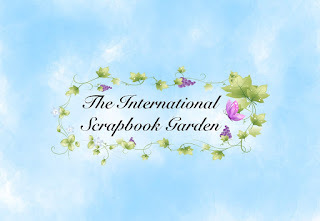 If you haven't joined in on the fun yet, I invite you to come over and play one of the funnest scrapbooking challenges. Here's a link to the Law and Order page (rules) for the rest of the details. 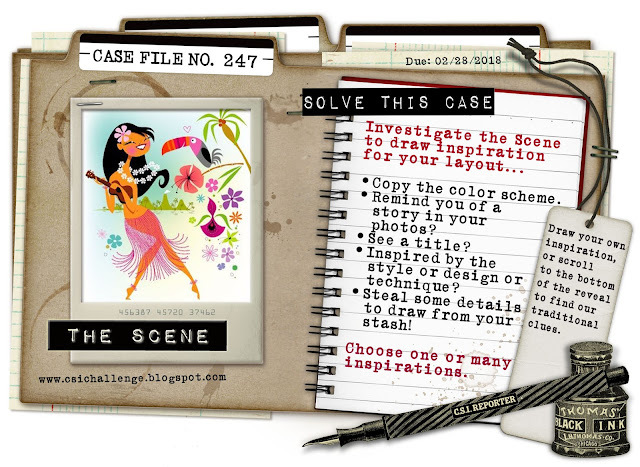 Don't forget to come back on the 15th for the second case file of the month! Thanks for coming over today. On a personal note, for all of you pet lover out there, send some prayers to a dear friend of mine who found out her beloved cat has cancer today. I am heartbroken for her and I know she can use all the prayers you can send her way. Your memories and how you scrap them are incredible! This is timeless. I love it - I love everything about it. Bright & cheerful. How you are able to keep going after losing your Dad gives me strength. Bless your precious sweet heart. You totally nailed the tropical theme from the scene. 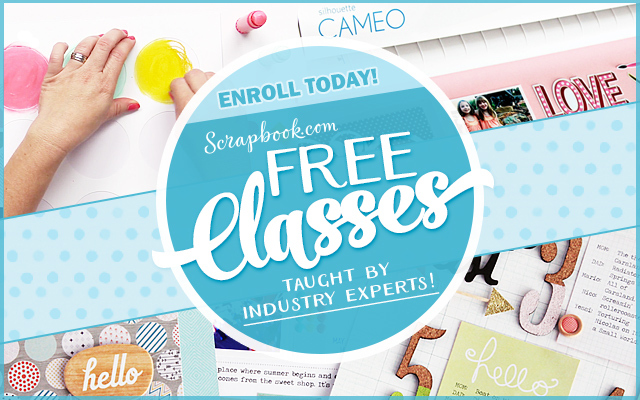 The bright, happy colours in the papers, embellishments, and die-cuts certainly suit the photo and the memories that go along with it. I love the page design with that strip of negative white space down the centre. The photo partially off the page, and the elements placed at an angle, all look really neat. Well done ! My thoughts go out to your friend. Having lost two of my dogs to cancer, I know how heartbreaking that news is. I hope there is something the vet can do for her sweet cat. wow, just what I needed to see on a wintry day, beautiful!